4. Website traced to China. 5. A variation on another very similar eBay scam reported today.
" 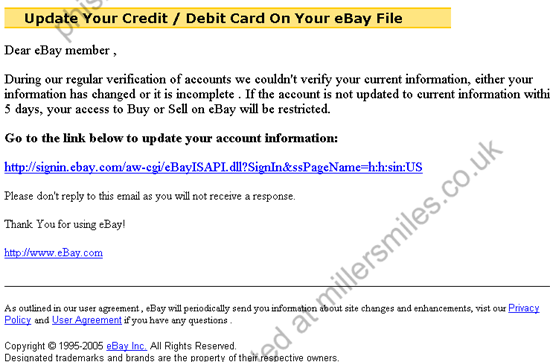 Dear eBay member , During our regular verification of accounts we couldn't verify your current information, either your information has changed or it is incomplete "
Not online at time of report, but likely to closely resemble the real eBay site.